I started a new thread for this topic because I was cluttering the challenge WIP thread (even more than I usually do). This seems like a topic that might generate more general interest, and we might get a wider set of tips and cautions. We had been discussing the possibility of nesting bone rigs and joint constraints within larger groups. My issue was that I had a figure with a wide-flat torso. I wanted the shoulder to move like a robot where the arm issued from the card, but I wanted to preserve the ability of the torso to bend and twist at the waist, and I wanted to preserve the ability of the arm's elbow and wrist to bend naturally (similar issues with thighs/knees/ankles). Although the task at hand was completed, I was wondering if there was a faster and easier way to get the result I wanted. My thought is nested rigging for complex machines that have both robotic parts and more fluid belts and hoses. If you want additional background, see here. Note - there are a few nuggets at the link, especially an example of EP creating posable handcuffs. OK, so I modeled a simple card-soldier in the vertex modeler. It has a relatively flat rectangular torso. The polygons along the sides of the card near the middle are influenced by a lot of bones. This is not a deal breaker for posing, it is just tedious. 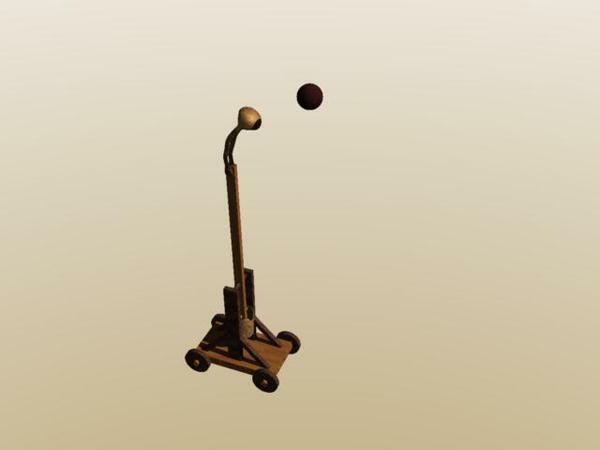 i am just wondering out loud if attaching the limbs as groups with movement constraints (ball joint) could make this simpler. In the attached screenshots, you will see that the side polygon I chose is influenced by 8 bones for the card soldier. A similar side polygon from the torso of a test object I made is influenced by only 3 bones. (edited to note that several of the bones are set to zero because I did that to get the pose I wanted). Thanks for the thread. What I meant by "Weight" is that the Channel you have is labelled Weight. I don't get that. I get x, y z rotation or scaling or x,y,z bulge. I understand now that perhaps you get Weight if you ADD a bone where I was just messing about with shaping a Genesis figure. Any luck using 2D vs 3D sphere? Genesis figures are protected figures, the same with Poser and other DAZ figures such as V4, or M3, as such they are locked for most things, but you could weight paint them still, and save the weight map. I don't know if you can do this with Genesis or in C8.5. My vertex and bone screen looks a bit different, but it is close enough. Maybe we can just convert this thread to weightpainting tips and problems in general. Following EP's excellent tips, I was able to successfully nest a rigging that has both regular bones and ball constraints. 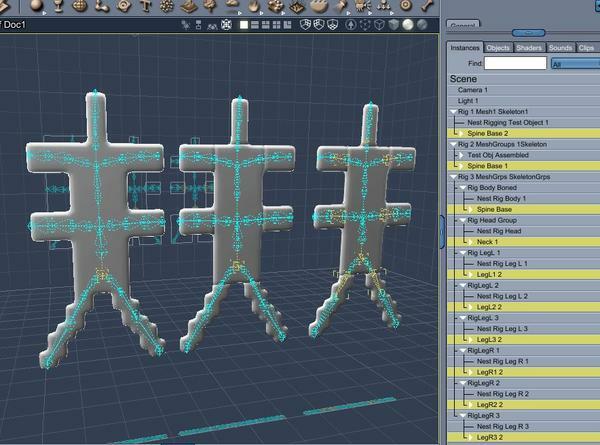 To do my tests, I made three near identical meshes. Each had a rectangular core and multiple limbs. 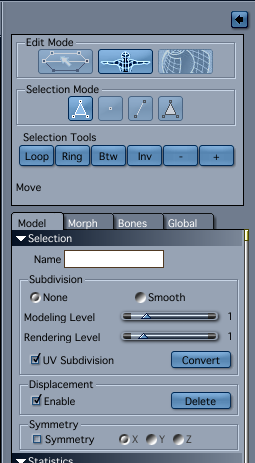 Following EP's tips, using mesh #3, I chose the base bone of each limb and set motion constraints in the properties tray as if it were any other object. 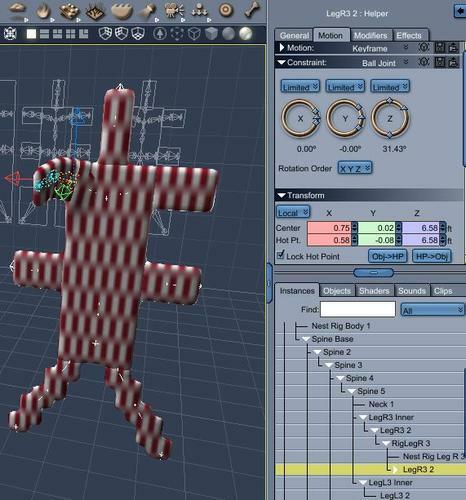 The result allows for bending of the core at the "waist" and the "elbows" of the limbs, but you can still use a robotic motion constraint where the limb attaches to the core. I need to file this away. @SileneUK, yes, I tried your suggestion to uncheck the brush box. It generally worked. Thanks. (but not always, hmmm). 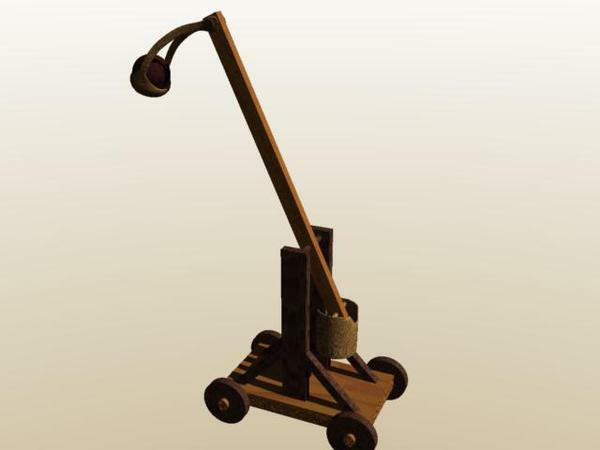 Here is a simple application with a catapult. 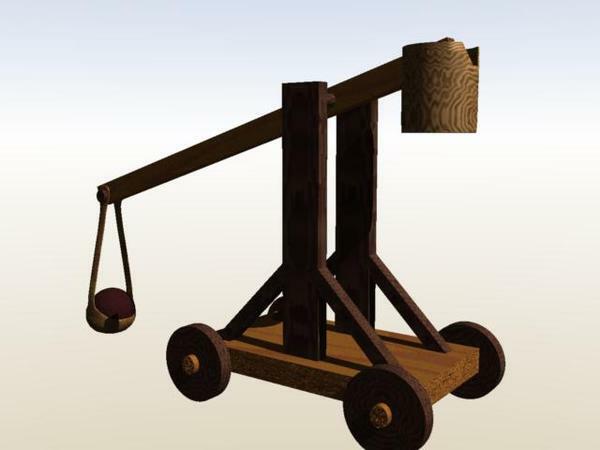 The beam and the counterweight rotates around on constraints. The sling is bone-rigged. The base bone is parented to the end of the beam (a cross peg). 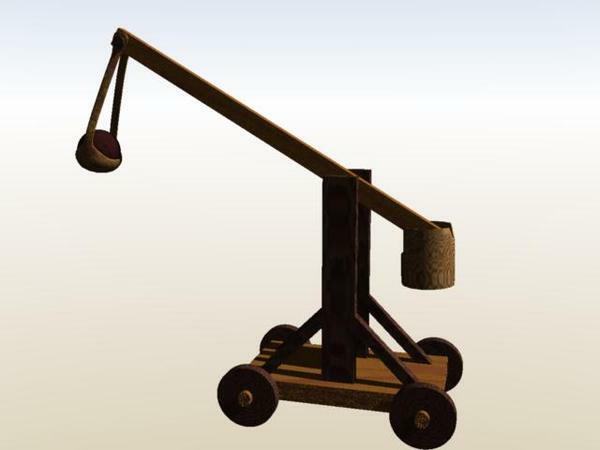 So the main beam rotates with no bending and the slingshot can bend. The effect is best seen in the third pic. This is pretty simple and doesn't really need the nested rigging, but it is a good tip to keep in mind for more complicated machinery. 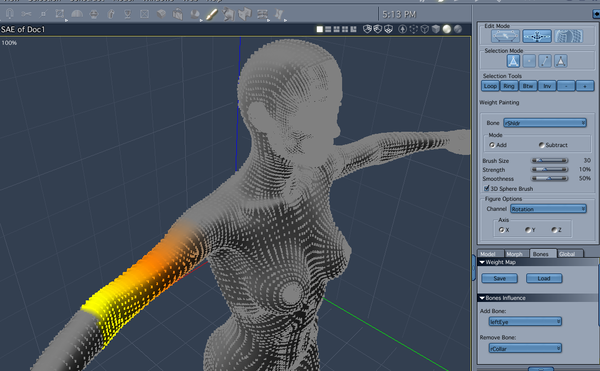 I've decided to dive into figure rigging in external programs for use in Carrara. I've dabbled in Poser, but I don't anticipate C8.5 integrating Poser's newer weight system any time soon. Daz Studio, on the other hand, is more likely to be continuously supported, IMHO. So, I'm going to try to learn the triax rigging system. To that end, I just bought the first rigging tutorial by Blondi9999. It is a pdf follow-along tutorial, which has advantages and disadvantages. On the plus side, I can have the pdf open next to the tutorial as I follow along, but I don't get resonant tones of a British accent, like PhilW. If it works out, I'll try the more advanced tutorials.